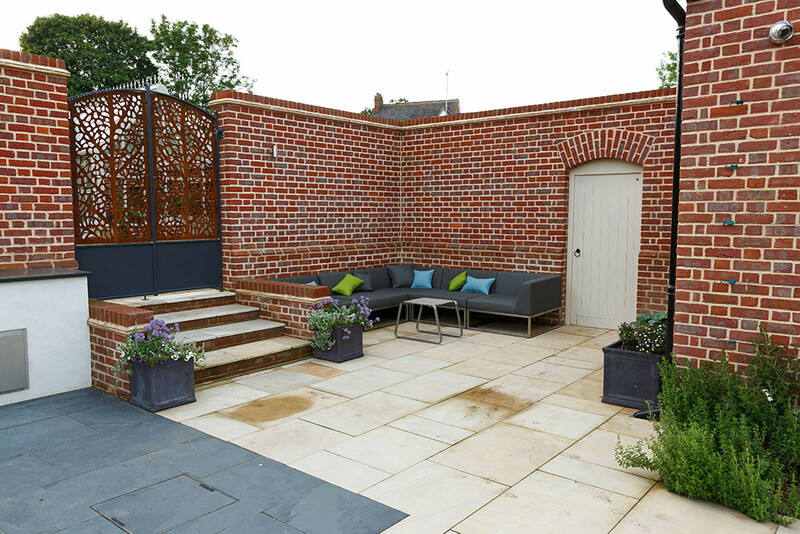 Next Generation Construction provide a bespoke patio service, from design to construction. Our beautiful patios will enhance your outdoor living area in Milton Keynes, St Albans, Harpenden, Leighton Buzzard, Beaconsfield, Chalfont St Giles, Gerrards Cross and Bedford, giving you a beautiful space that you can use for parties, barbeques, socialising and much, much more. Contact us to discuss your new patio! Out top quality patios make for a unique outdoor dining area in Milton Keynes, St Albans, Harpenden, Leighton Buzzard, Beaconsfield, Chalfont St Giles, Gerrards Cross and Bedford, a space that you can relax in, enjoying the sights and sounds of your garden. Whether you cook outdoors, or just enjoy eating outdoors, our stunning patios will make for an aesthetically pleasing, yet practical, dining space that will impress your guests and neighbours. Enjoy the delights of your garden with a luxurious living space in the outdoors. You will be able to relax and recuperate from busy days, lounging under the stars in your garden. Our patios can be designed to accommodate whatever furniture you want for your outdoor living. Whether that is a barbeque and table with chairs, or perhaps a corner sofa set to lounge upon, your new patio will provide the perfect fit. Whether you require a more traditional paved or bricked patio, or perhaps a contemporary wooden patio, we can accommodate your requirements. 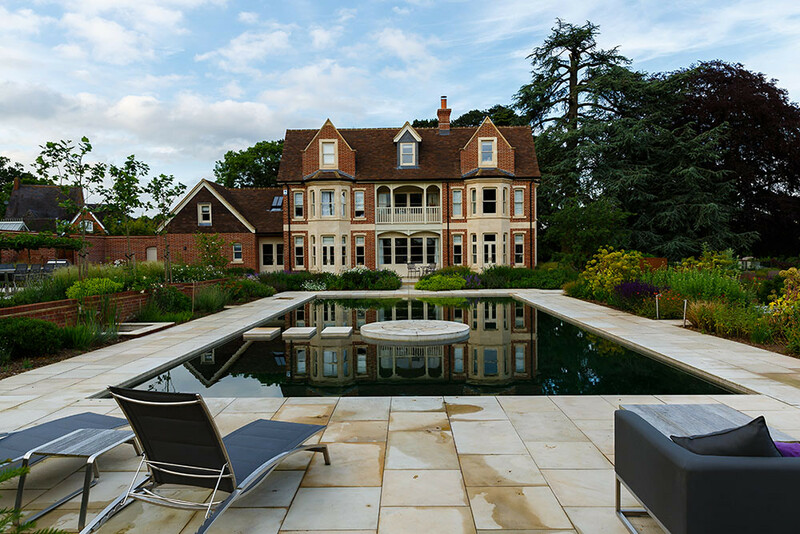 Our patios are designed personally for you, ensuring that you receive a finish which will suit your tastes and style, as well as blending in with your property or surroundings. There are a variety of additional options available, such as decorative edging, or patterned paving that you can choose from, creating a gorgeous patio that is totally bespoke to your home. We use only the very best materials that have been manufactured to impeccable quality, ensuring that you receive year after year of outstanding performance from your patio. We have a dedicated team who will listen to your ideas, talk to you about sun position and views, and then design a tailored patio that takes into consideration drainage and property access where necessary. We will ask you how you plan to use your patio and we will examine and meticulously measure the location you choose, to ensure that you get a final space perfectly designed, manufactured and constructed to meet your needs. Our construction team will intrude as little as possible when creating your patio. They will take care of your property and garden and will maintain a tidy environment. They are all dedicated builders with many years of experience in high quality construction, and they take pride in providing a finished patio that meets the very highest standards. They will clean up when they have finished, leaving your home and garden just as they found it, ensuring that stress and inconvenience is minimised. Whatever material you choose, design, or size of patio, it is imperative that you receive outstanding value for money. Our patios are created with longevity in mind, and only the best materials and the most cutting edge construction techniques are used in our installations. It is this bespoke service that means every patio is individually priced, a personalised cost is created just for you, taking into account all your options and offering you exceptional value. For more information, or to get your own unique quote, please contact us. We have a helpful and friendly team awaiting your call who can guide you through all of the options available to you and can book you in with an appointment with our designer. We won’t badger you into buying, there’s no need, our quality and service makes us the superior choice among our competitors, and you will be pleased with our cost effective patio prices.